1. What is your idea of a perfect meal? I love lots of different textures, tastes, and colors in whatever meal I’m having. I like to build the perfect bite, so if for example I was opting for Mexican (one of my faves! ), I’d have some black beans on a corn tortilla, and nondairy sour cream and guacamole, topped off by some colorful salsa… all on the same fork! It’s all about the variety! 2. What 5 ingredients or foods could you not live without? – Purely Decadent Cherry Nirvana soy ice cream. Need I say more? 3. What obstacles have you faced with eating a vegan lifestyle? I don’t think in terms of obstacles; I like to think of eating healthy like it’s a sport! I make it into sort of a game to see where I can find the most delicious, healthy food no matter where I am. I’ll check my favorite apps like VegOut, VeganXpress, or the HappyCow website to find out where I can dine or shop for food when I’m traveling. If I’m going to someone’s house for dinner, I don’t bother the host/ess with all my food needs or desires, but rather offer to bring a yummy dish that she might enjoy adding in to her fare. (Vegan is always an interesting conversation starter in social settings … if talked about interestingly, of course, without dogma!). 4. 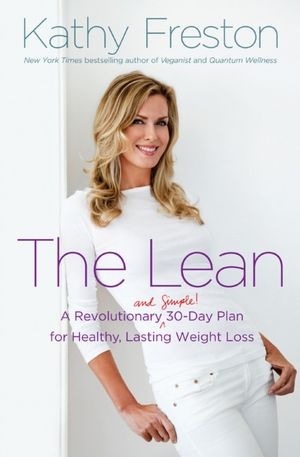 Can you give a few tips from your book that you are just releasing called The Lean? – Eat an apple a day. The fiber fills you up and keeps your blood sugar steady. The pectin from apples is actually twice as good as other fiber, because it leaves your stomach twice as slowly so you feel fuller longer. Eat one before a meal and you’ll eat far less calories! – Drink 8 glasses of water, 8 times a day. Keeps your metabolism running optimally. And it’s called pre-loading: people who drink 2 cups of water before meals in a study lost 5 pounds of fat more than people who didn’t drink water in a 12 week period. – Add 2 Tbs ground flax seeds to your food every day (in a smoothie or soup, for instance); the fiber adds volume to your food and fills you up. And flax has a powerful antioxidant in it called lignans, which are cancer preventative. 5. What type of exercise program do you follow? Are you more into yoga, strength training, running, etc? Can you give us some of your favorite exercises? I’m lucky enough to live near some good hiking trails, so I take my dog on an hour and a half long hike about 6 days a week. Every other day I do a little strength training, including girl push ups and weight lifting. I do yoga (and I say that loosely!) a few times a week, too, just to stay stretched out and limber. I’ve been using something called Yoga Paws to squeeze in yoga when I’m on the go or traveling. They provide great stability and traction so you don’t need a mat! 6. If you were having company or hosting a dinner party, what would you likely prepare for your guests who may not be vegan? You cannot fail with a big bowl of pasta! Everyone loves pasta, and I always include a big colorful salad to go with it. I have a delicious recipe in The Lean for a brown rice pasta made with veggie sausages and pine nuts and broccoli and sundried tomatoes. It’s to die for whether you eat meat or not. 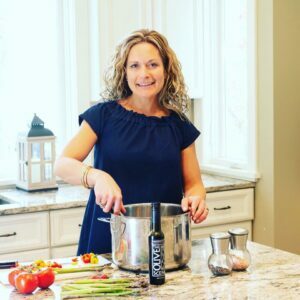 The chef, Dayna McLeod, who wrote the recipes for the book is a fabulous woman who approaches food with the attitude of “How can I make this healthy but delicious enough to please my meat loving husband and 4 year old daughter”. 7. What healthy living doctors, chefs, experts or people do you look up to and why? The doctors: Ornish, Campbell, Esselstyn, and Barnard; they are the rock stars of medicine and healing; they are bringing forth the science that saves lives. Tal Ronnen is my dear friend, and the chef who taught me that plant based food could be just as exquisite and hearty as the meaty stuff I grew up loving. And I love all the animal activists who are showing us how lovely animals are, and why we might rather not eat them! 8. What has been your biggest accomplishment in your career? Funny, I never think of the accomplishments! 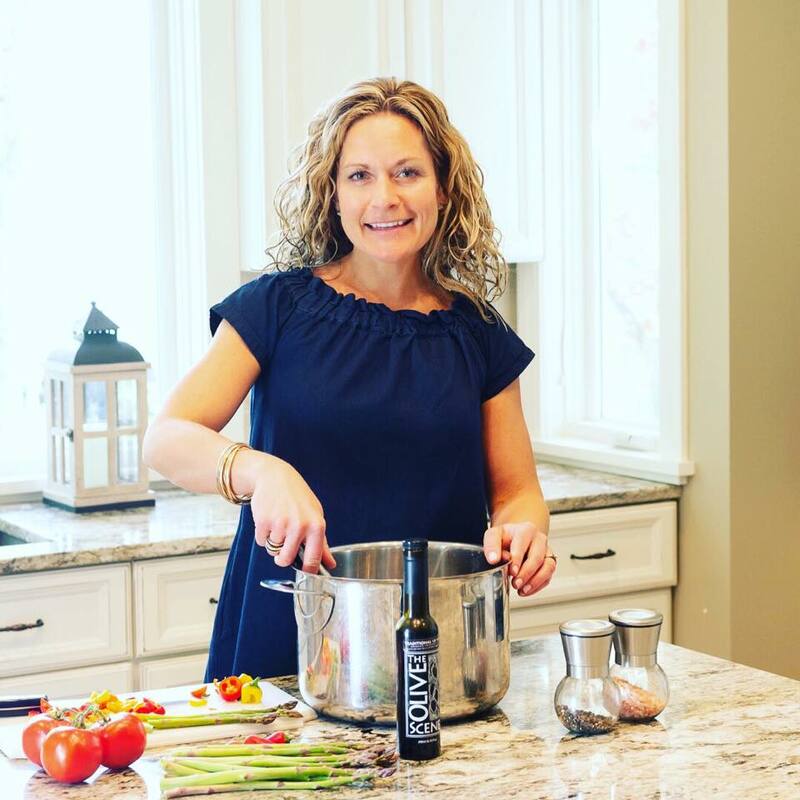 I am only obsessed with the next step… how to make healthy living easier and more fun! 9. Is there any type of non-vegan food you miss eating and have you developed a recipe or is there a product to satisfy your craving? I’ve found an alternative for everything I grew up loving: Crispy Gardein Chik’n instead of fried chicken, black bean burritos instead of beef burritos, veggie sausage pizza instead of the animal based one, and veggie burgers and dogs instead of the fattening “real” stuff! 10. I agree that a vegan lifestyle is great, besides your book, can you reccommend a cookbook you can;t live without? I love Tal’s book, The Conscious Cook; it’s the bible for making delicious, hearty plant-based food! Hi Dana! So glad I found you! Looking forward to staying in touch! I love her and really want to read her latest book. Thanks for a great interview, how cool!